An early morning drive takes you and your tour guide to the Rucapillan ski centre, located at 1400m/4593ft within the Villarrica National park. From there, you have the option either to set off directly, or to save an additional 400m/1312ft of elevation by taking a chairlift. The ascent to the crater using the chairlift requires around 4-5hrs, and 5-6hrs without it. Several short rest stops are made on the way up. The effort of the ascent is rewarded at the summit by a spectacular view into the crater, as well as towards the many surrounding volcanoes. With a little luck, you can even see lava bubbling at the bottom of the crater. 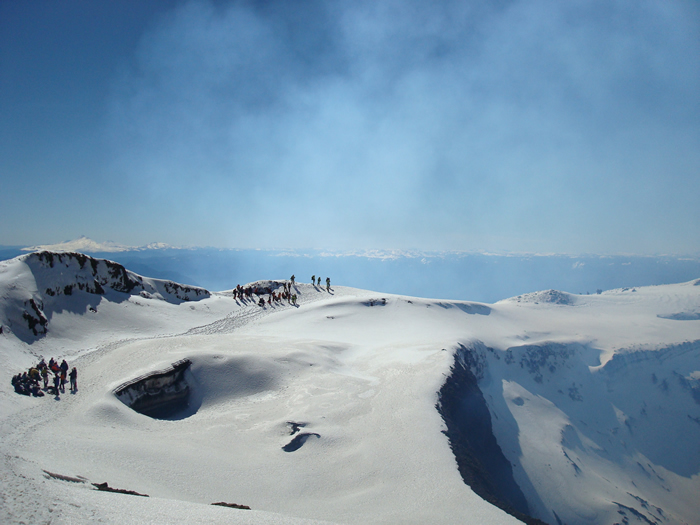 At around 3pm, you set off for the descent using a rather unique method: supplied with a purpose-made outfit, climbers glide down the volcano on prepared ice slides. 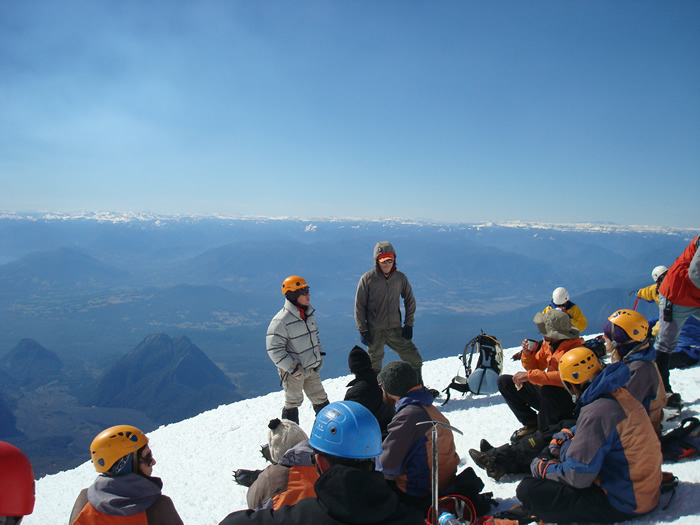 Relevant equipment, including crampons and ice picks are provided. The ascent requires good physical conditioning. This excursion is dependent on weather conditions and the level of volcanic activity.